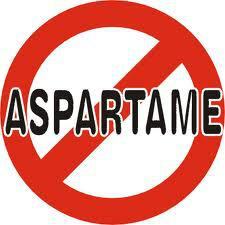 Aspartame is made by combining phenylalanine, a substance that is produced naturally by bacteria with another amino acid, that has not been genetically altered. However, Monsanto has genetically changed the bacteria to create more phenylalanine. When this amino acid chain breaks down, it breaks down into three constituents, including methanol – which has been linked to autism, preterm delivery, and more. This is then broken down in the body to formic acid (which when handled in a lab you have to wear goggles and gloves) and formaldehyde (something used to clean drains and embalm dead bodies, and a known carcinogen). 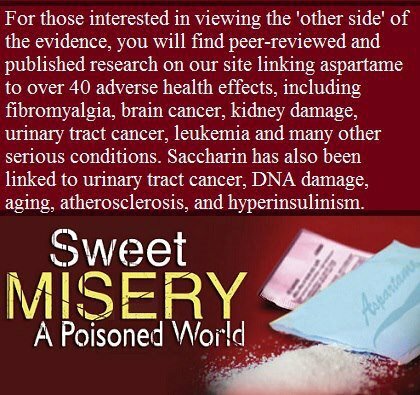 It also breaks down into a chemical called DKP, which can cause brain tumors – this according to a study published on the US Food and Drug Administration’s (FDA) site about aspartame.